Post Office #5 | Historic Jacksonville, Inc.
We’re continuing to track the history and multiple locations of the Jacksonville post office, the oldest continually operating post office in Jackson County and the only one not a substation of Medford. Post master Max Muller saw major fires burn 2 of the post office buildings he supervised. 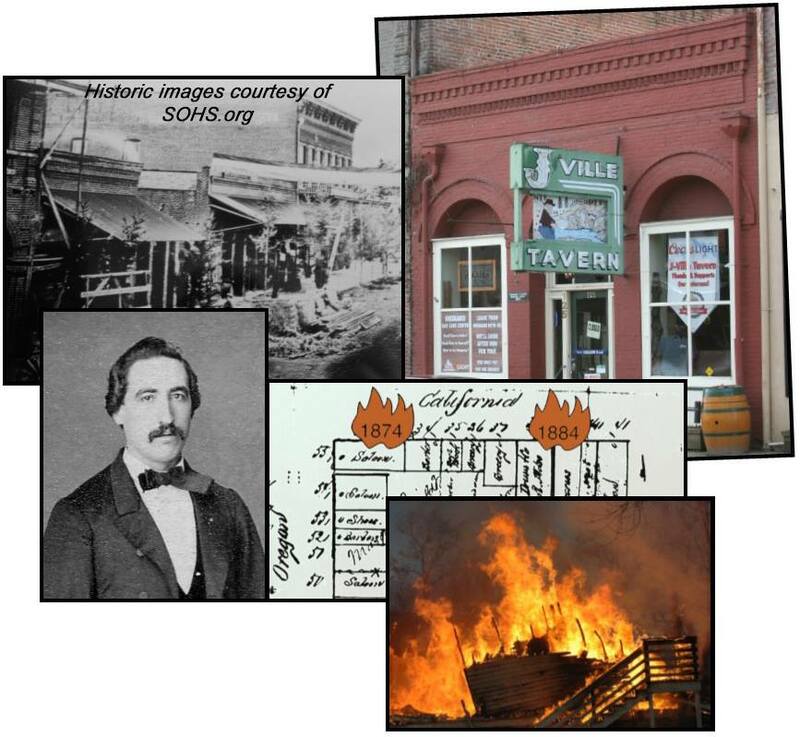 After the 1874 fire he moved the post office to 125 W. California (now the J’ville Tavern), which had been constructed as a “fire proof” brick building. But fire again burned the post office building in 1884. The fire had originated in the New States Saloon (the current site of Redman’s Hall and Boomtown Saloon) and was not long in reaching the post office store. The building may have been fire proof, but the store’s contents were not. The fire entered the cellar from the adjacent building and “raged inside.” However, the iron coverings over the store’s windows and doors were kept closed “and the flames allowed to spend their forces.” The brick walls remained intact, and 5 months later the post office store was again ready for occupancy.